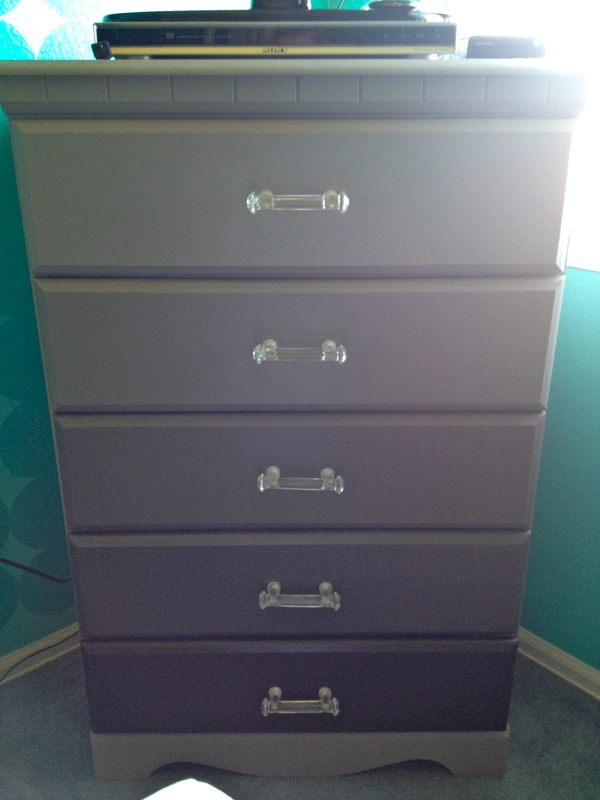 When I was thinking of what else I could do to my room, I knew I had to re-do my dresser. I have had this baby since I was a baby. Seriously, I do not know how it is still in one piece. Alright, so I am obsessed with younghouselove.com, and they came out with a book full of designs and ideas. One of them was an ombre dresser. 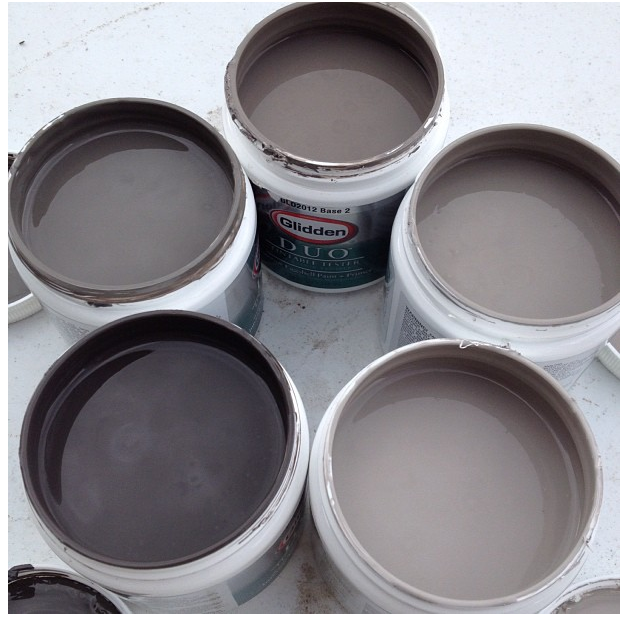 I loved the look of it and decided to copy them :) I went to Home Depot and picked out a few shades of Gray (5) and bought a sample size of each. 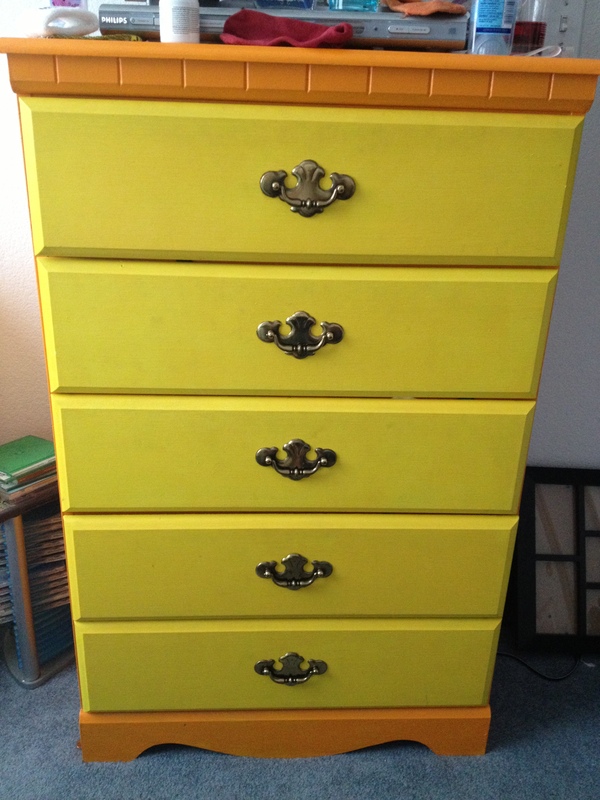 I really wish I had kept pictures of me stripping and refinishing the dresser, but I didn’t. Imagine a crazy mess full of sawdust, orange gooey stuff, and drawers everywhere. I used some paint stripper we had at the house and went to town. I brushed the stripper on according the the instructions, and let it sit until it started bubbling. Then, I scraped off what I could; some came off really easy, and some would not budge (I sanded it off in that case). 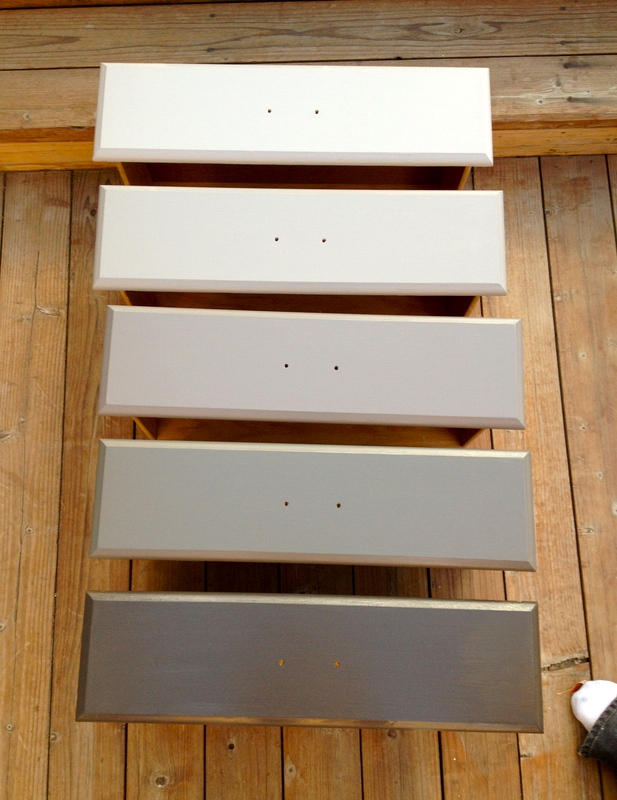 Once it was clean of all the old layers of paint, I sanded everything and then painted each drawer a different shade of gray. It took me two coats of each color to get full coverage. 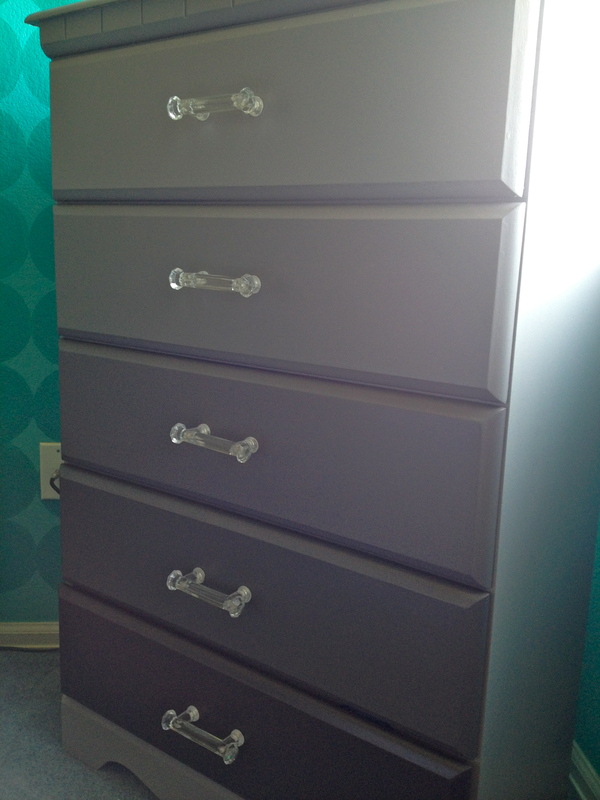 I decided to cover the rest of the dresser in the lightest of the grays. What have you guys re-done recently?! You did a very nice job there Courtney! I hope you had help sanding? Bobby is pretty good at that lol!!! Looks real good tho! Now clean your room and take a finished pic of all the cool stuff you’ve done!! !